Last weekend, my sister and her family came to visit. She has three kids, Cody, Kylie and Cayden and she also brought along my other sister's kids, Jordan and Briana. We packed as much as we could into 2 and 1/2 days and had so much fun doing it! 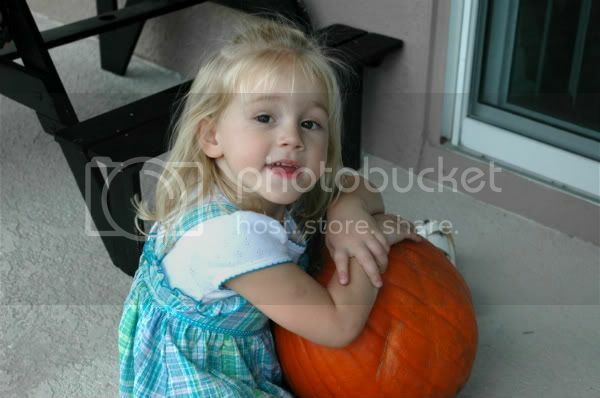 Kylie getting ready to carve a pumpkin. 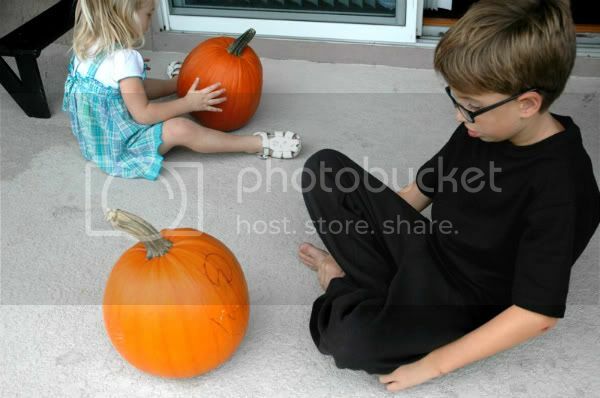 Andon checking out the face that Daddy drew before he starts to carve. 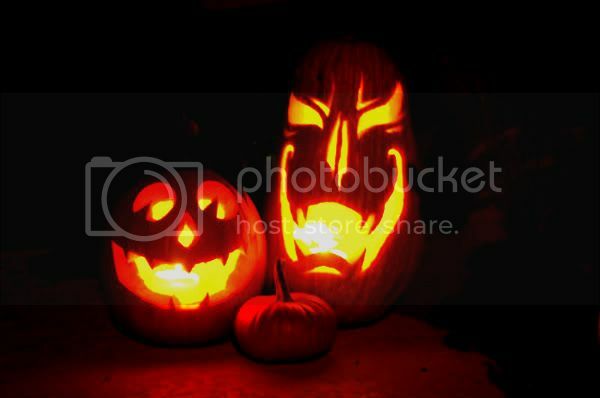 Here are two of the finished products. We also made caramel apples, rode bikes, scooters and tricycles all day. Went for wagon rides around the neighborhood, played at the playground, played football, basketball, wii and hide and go seek. Another fun thing we did was photo sessions for both of my sister's kids. I wouldn't call myself a photographer but some of the pictures came out great. I'll do another post this week with some of the finished products. And last night was Halloween. 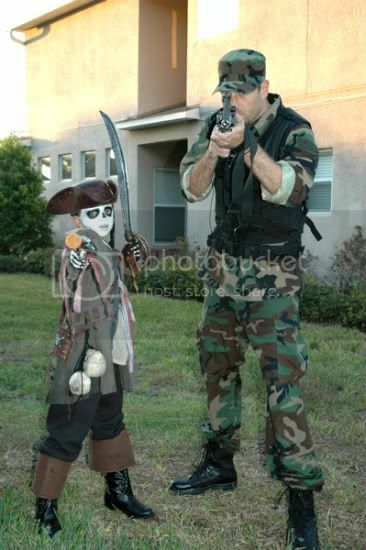 We had so much fun taking the kids trick-or-treating in a near by neighborhood. 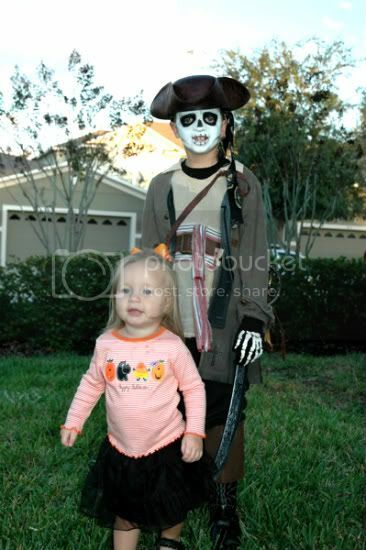 Lucky for Andon, Jared is all about Halloween. They really get into the costumes and what Andon is going to be each year. 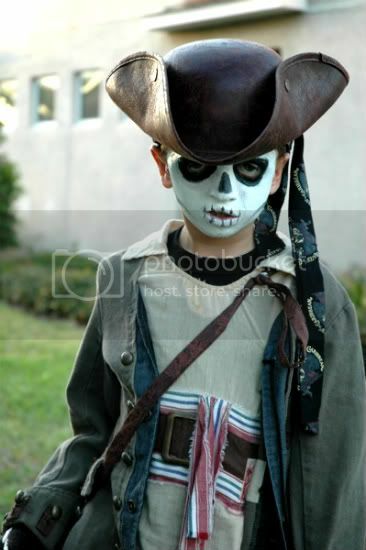 This year he was a Skeleton Pirate. Jared was an Army Ranger. 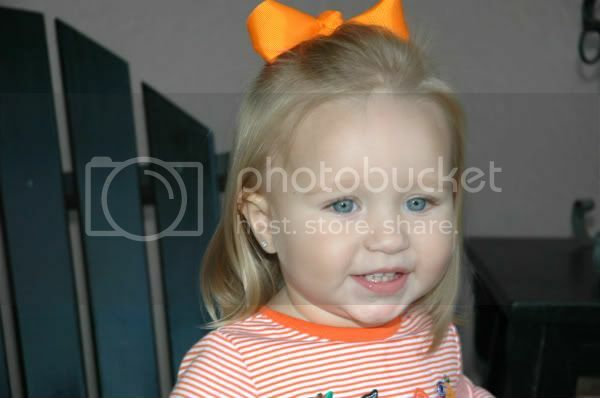 And Adelyn was just a precious girl wearing Halloween colors! Haha! Maybe next year i'll get her a costume. 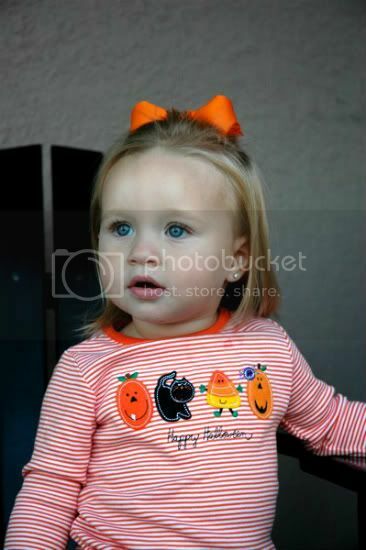 Here she is trick or treating for her first time. It was so cute hearing her say it! At least we all thought it was, the guy handing out the candy was a little, i don't know. Just funny. He didn't see the big deal in our sweet little one saying "trick or treat" for the first time. :) But we certainly ate it up! Today is November 1st, looking forward to spending the month focusing on Thankfulness. And also, celebrating my boy turning 8! !